There are the most popular social media, then, of course, there is also a Founder or Creator of social media that is successful because of the social media they manage. For example the Facebook Founder "Mark Zuckerberg", Twitter Founder "Jack Dorsey", and others. They are one of the most successful people in the world and have tremendous wealth via theirs social media websites. Many experts say that social media is for connecting with people, and not for selling, but at some point, you're going to want to leverage the connections you create. If you've built up enough trust with your followers, they'll be more inclined to check out your recommendations and the links you share. Here are top ways you can make money on social media. No matter what industry you're in, you can find great products to promote on ClickBank. And if that doesn't quite jive with you, you can also become an Amazon Associate, promote products of your choosing and earn commissions on them -- Amazon has no shortage of products. Next, instead of spamming links on Twitter and hoping for the best, keep in mind that the most honest and effective way of promoting affiliate products is through reviews. If you personally use a product and like it, and know that your followers serve to benefit from it, then write a long-form review on your blog, and share why you like the product. Don't be afraid to talk about what you like and don't like about it. You can even use video if that's more your style. Also, make sure to disclose your affiliate relationships. This is a legal requirement in most cases, but it's also "best practice." Your readers or viewers will appreciate your honesty. 2. Create and promote your own information products. 3. Promote products and services. There are many opportunities for you to share sponsored posts that promote the products and services of other businesses. This is a very direct way of earning money from social media. But, if you don't have a sizable following, this may not be much of an opportunity. You also have to beware of over-promoting products for want of money, because if your followers see that you're constantly tweeting about one product or another, not only will they not click on the links, they will also un-follow you. It's important to mix things up. It's wise to take the time to craft a proper social media posting schedule, to make sure you're adding value to your followers while promoting products. Calls to action should definitely be a part of your social media strategy, but every post can't be a call to action. 4. Use visual media to promote your crafts. 5. Promote your coaching or consulting services. Social media is a great place to generate leads for your consulting business. Whether you're a guitar teacher or a life coach, if you have demonstrated expertise in a specific area, you can create more interest for your services by connecting with your target customer on social media. Coaching sessions can be conducted over Skype, so this is definitely an opportunity to make money without leaving home. Consulting can be lucrative, so remember not to undercut yourself -- charge a fair price for your time and effort. This strategy can also work in unison with selling information products, as those who want your advice are more likely to be interested in the ebooks and courses you've created. There are prominent YouTube content creators who have made substantial amounts of money with this program, but they are the exception rather than the rule. It would take a lot of time, strategy and sheer luck to make money on YouTube. However, this is a good thing to keep in mind with advertising in general. Unless you're already getting a lot of views and clicks, you're not going to make a lot of money on them. These are just some of the many ways you can make money with social media; there are plenty of other money-making websites for you to explore. It's important to remember that making money on social media isn't necessarily easy. If you have an entrepreneurial spirit and are willing to work hard, test and experiment, your chances of success will be far greater than the chances of those who just want to "give it a try" to see what happens. Here are 3 websites that have been listed as the best social media-based website according to AWWWARDS. The award recognizes the talents and efforts of the world's best designers, developers, and web agencies. Interactive Catalog 'Bonobo Jeans is very responsive and connected to social media. Their site gives visitors the opportunity to share what they buy into social media, which helps raise awareness of Bonobo Jeans products and sales. 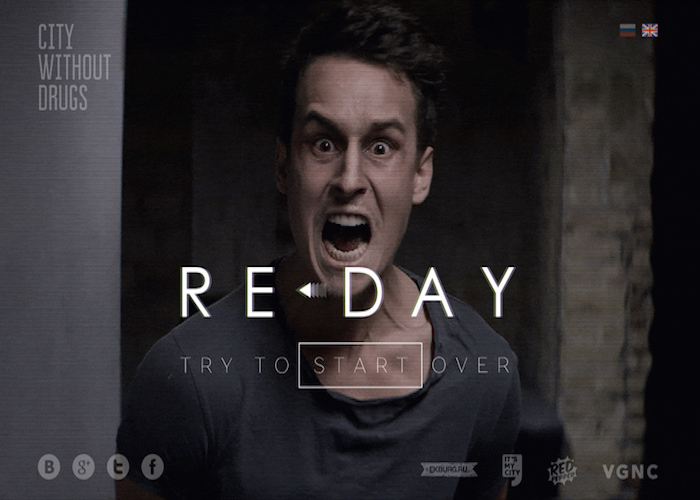 This website is an interactive project against drugs and addiction. Its website manager integrates social media into the project by giving visitors the opportunity to follow this project on their social profile. 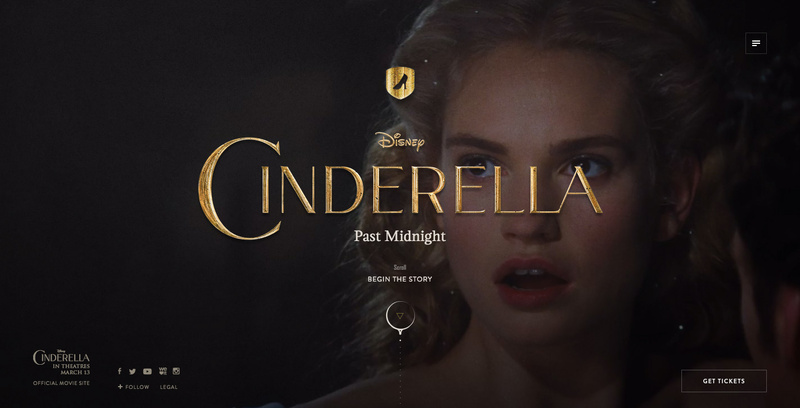 Cinderella Past midnight combines original illustrations, printouts, GIF series, and images from films to provide a narrative, interactive and social media experience that appeals to the users. This site is on Tumblr, which has a strong social mediation integration. Your social media presence does not have to end on your social media profile. By making your website more friendly to social media, you not only increase the number of visitors to your site through social media but also increase the number of followers of your social media through your website. When both can work together, you'll have a strong team to improve your overall online presence. Fun not to learn about how to integrate social media on your website, and be inspired by some of the most talented web designers who have created websites with robust social media integration? Do you know of any other ways to integrate social media on websites? Share the information in the comments below.